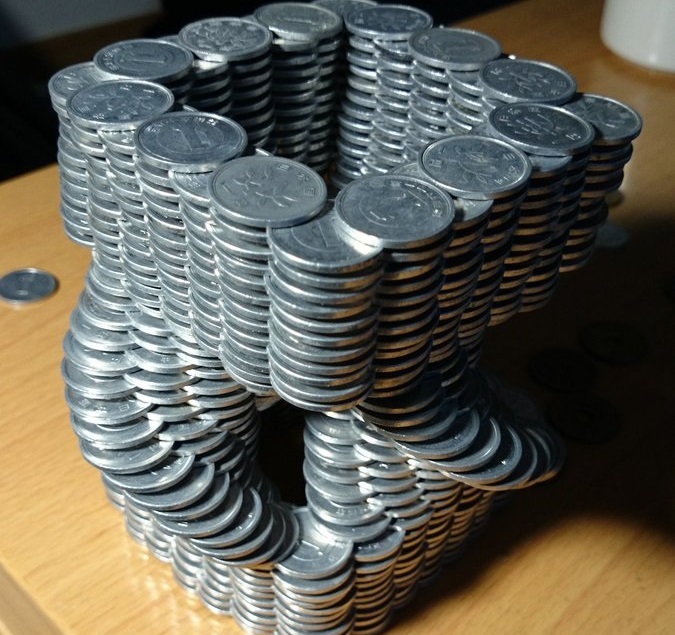 Stacking coins in a simple tower can get pretty challenging after it reaches a certain size, but that’s child’s play compared to what this Japanese artist can create out of thousands of carefully placed coins. 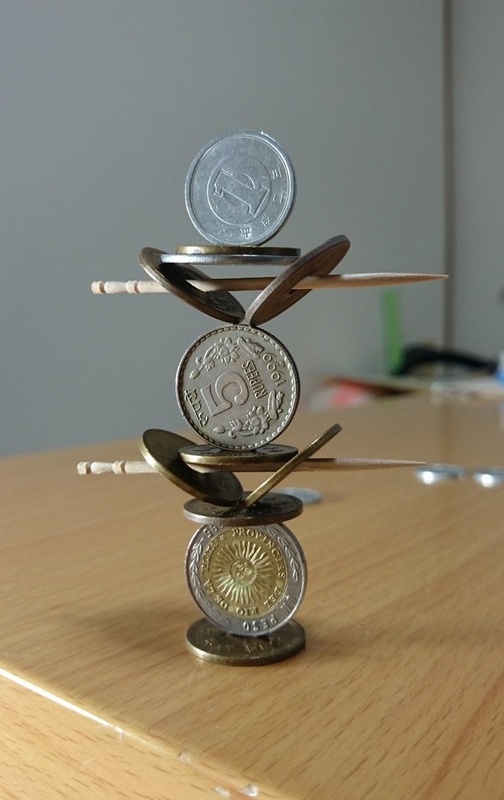 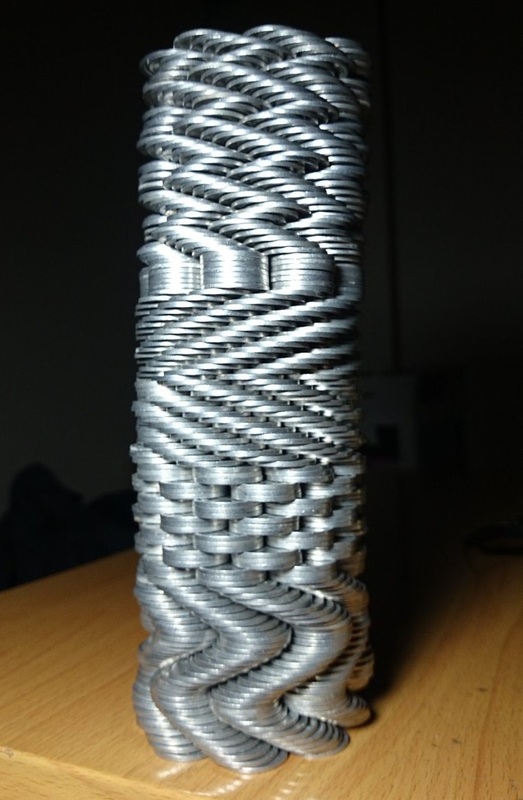 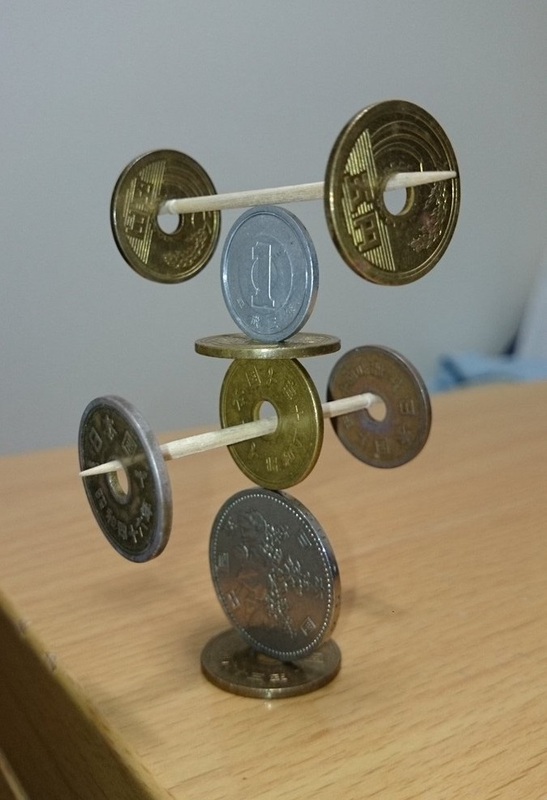 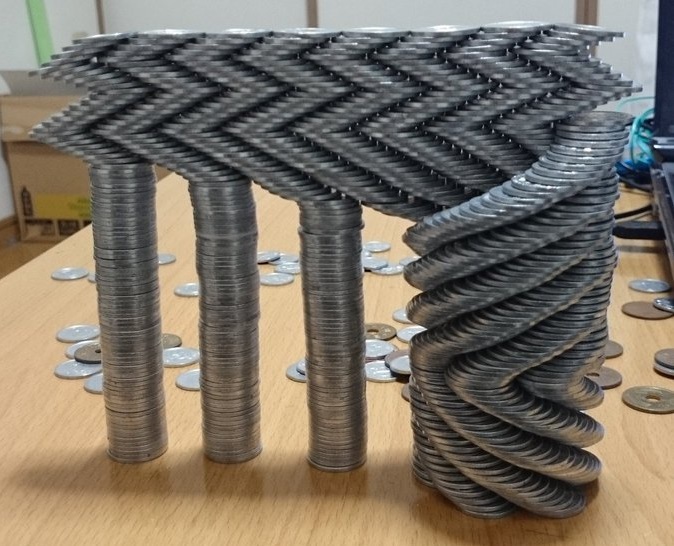 Twitter user @thumb_tani has been delighting his fans with an array of physics-defying coin structures ever since he discovered the hobby, by mistake. 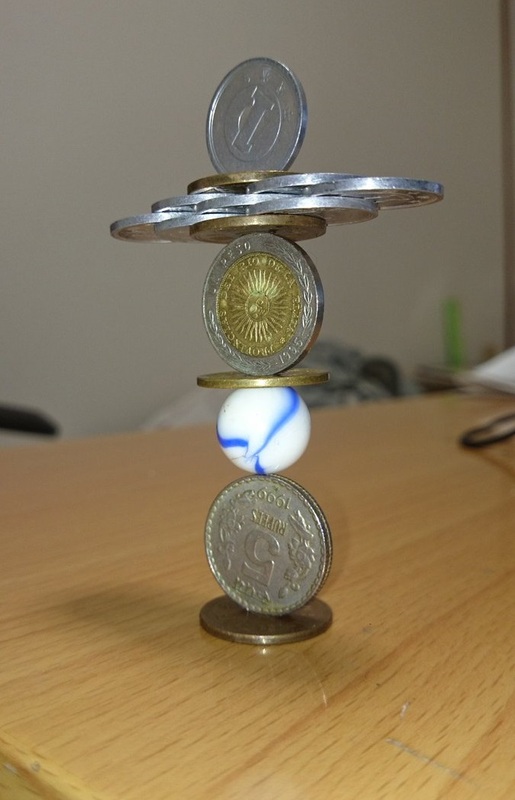 He apparently started stacking coins out of boredom, and it just grew on him. 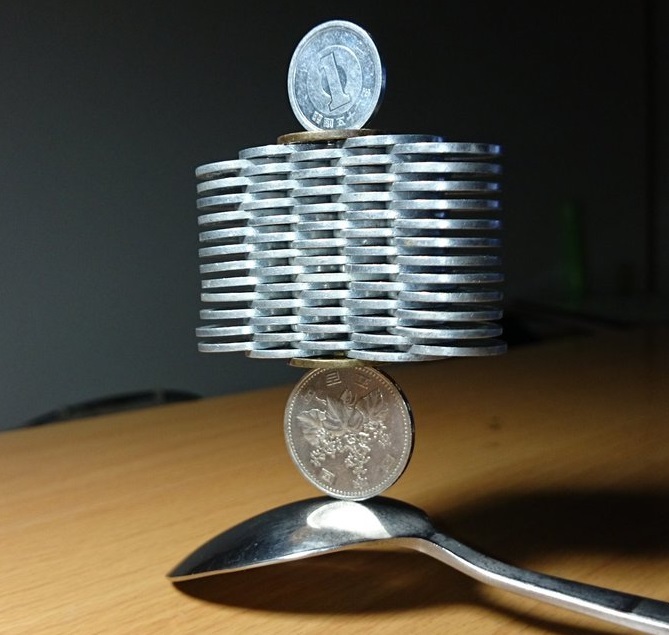 He now spends hours at a time working on all sorts of crazy designs that seem ready to topple at any time, and posting the fruits of his work on social media. 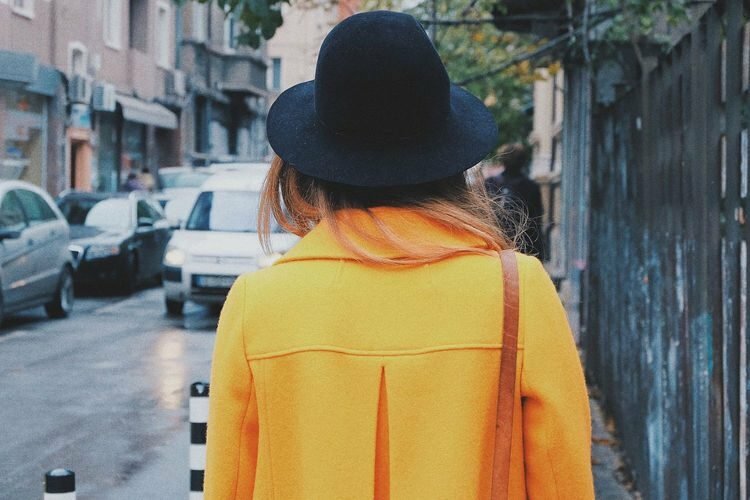 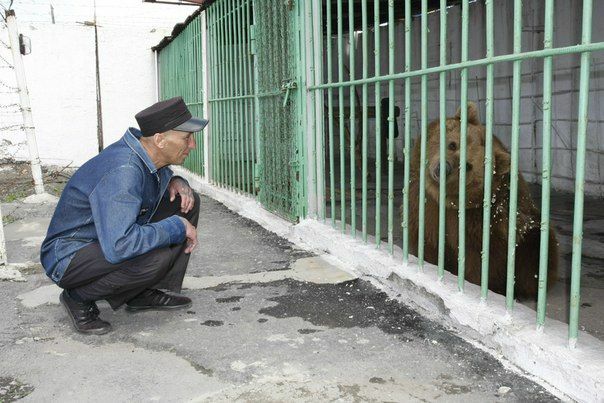 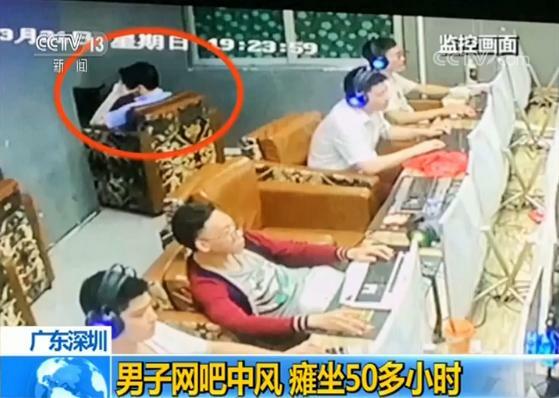 Some of his photos have gotten tens of thousands of likes, and looking at them, it’s easy to see why. 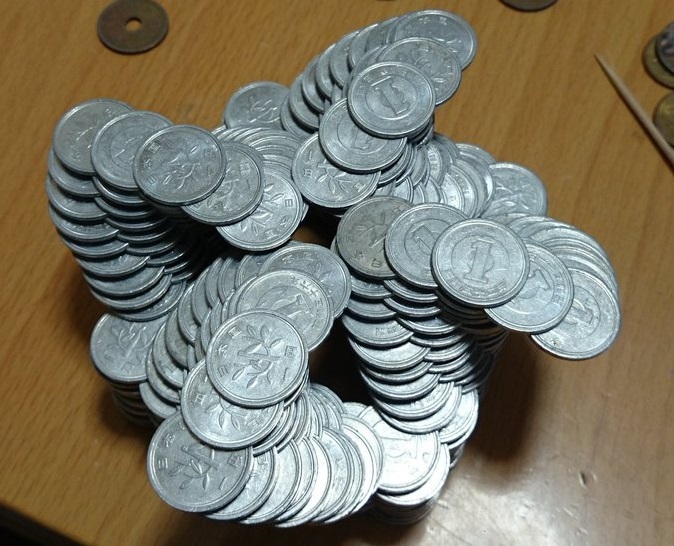 From tall stacks of coins with the curved bottom of a spoon as the base, to columns made from intertwining rows of coins and even some designs that incorporate small spheres, there seems to be no limit to what thumb_tani (Tanu) can do. 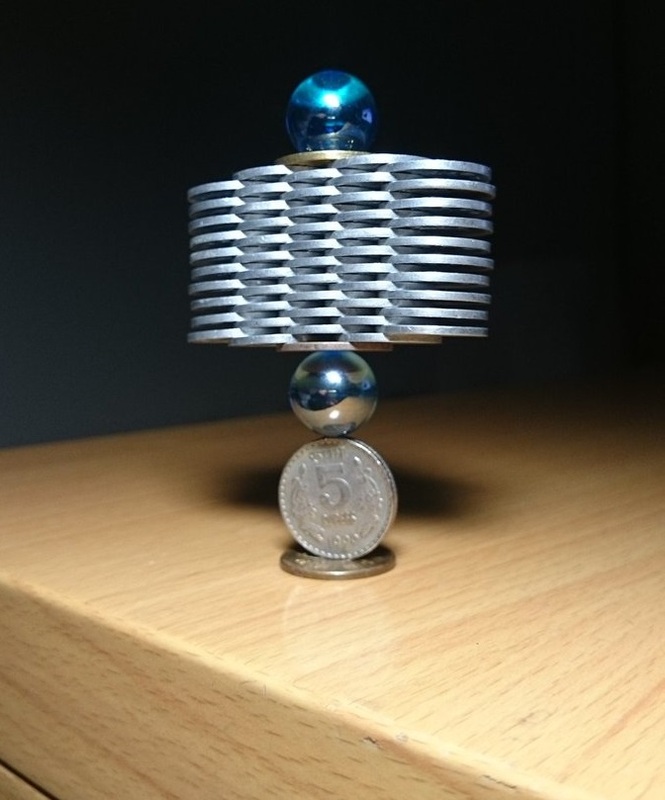 His increasingly intricate design have prompted some people to suggest that he muse be using glue to keep his creations together. 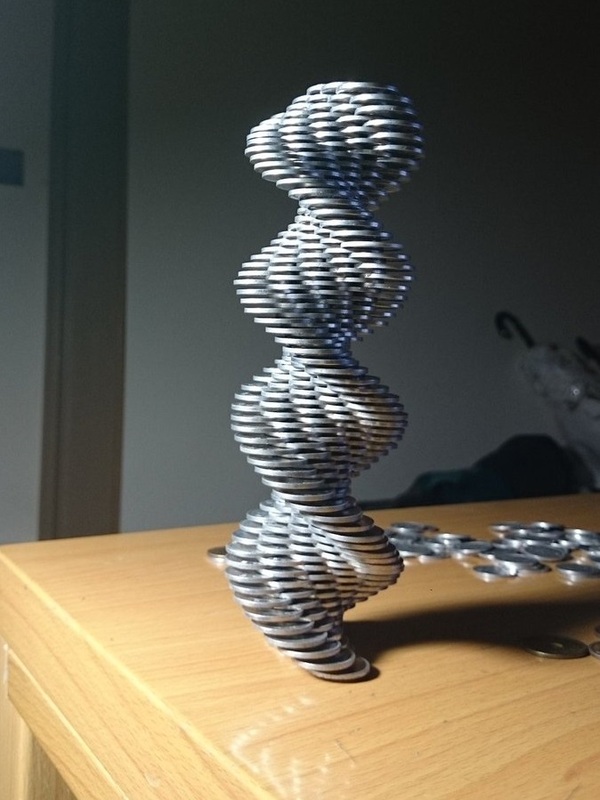 But he shut them all down by posting a video of him building one of his incredible structures. 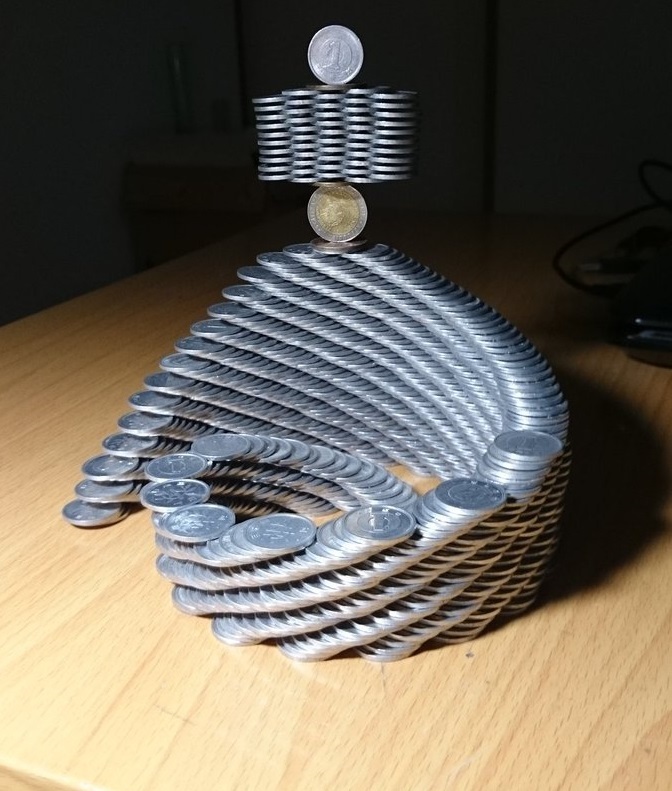 Tanu says that stacking hundreds of coins in such precarious positions requires extreme concentration and self-control, as a simple shake of his fingers can send the whole structure tumbling down. 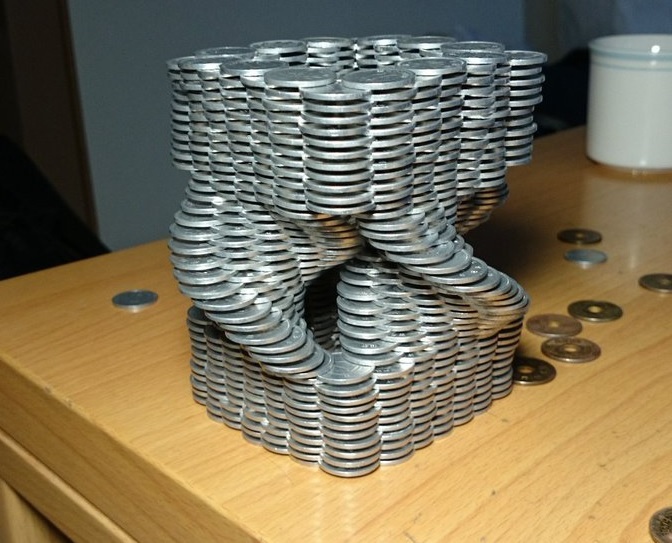 The amateur artist has a Twitter following of over 38,000 people who can wait to see what design he comes up with next. 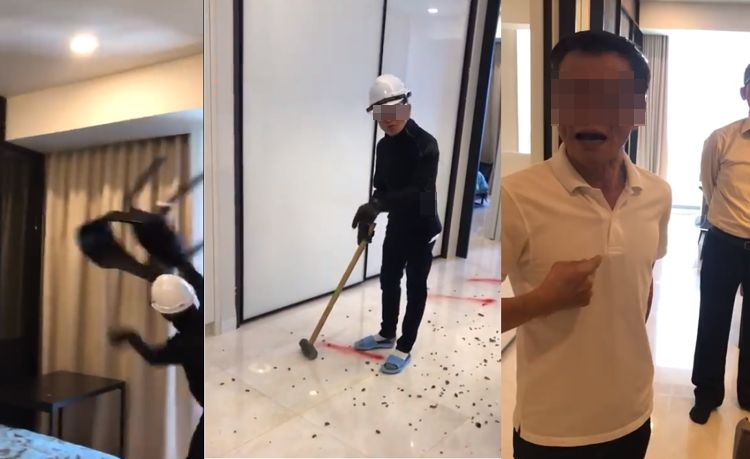 His works have been featured on hundreds of Japanese sites and blogs, and he even made headlines in international media, after some of his photos went viral, at the end of last year.